Crowns are an ideal restoration option to protect teeth that have been broken down, or have been significantly weakened by decay, extensive filling or root canal treatment . Crowns can be made of a variety of different materials .Some of the most popular type of crowns are 1. Gold alloy crowns ,2.Porcelain bonded to precious metal and 3.All-ceramic crowns. 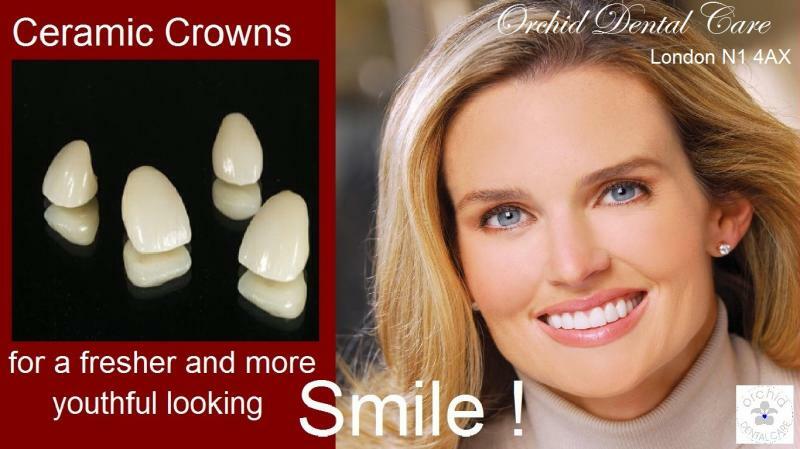 Our dentists at orchid care﻿dental in london N1 have extensive experience and training in aesthetic dentistry and with their knowledge of metal free dewntistry they can advise and provide ﻿ you with the best suitable ceramic crowns for the best aesthetic and functional result.